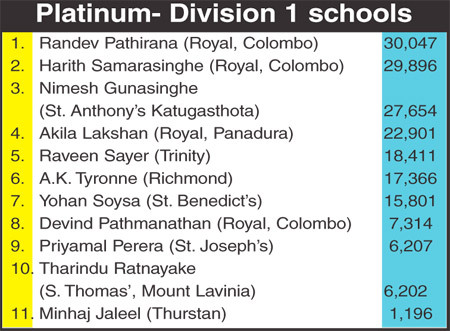 The race for the first two places in all three categories are getting more competitive with the lead dropping down into the hundreds at the end of count number 10 at the Sunday Observer/Mobitel Most Popular Schoolboy Cricketer Of The Year Contest 2014. 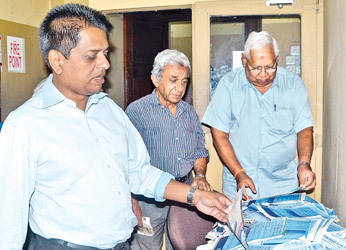 In the ‘Platinum’ segment the tussle between the two Royalists Randev Pathirana ( 30,047) and Harith Samarasinghe (29,896) is still on, as Pathirana took the first place from last week’s winner Samarasinghe with only a lead of 151 votes. 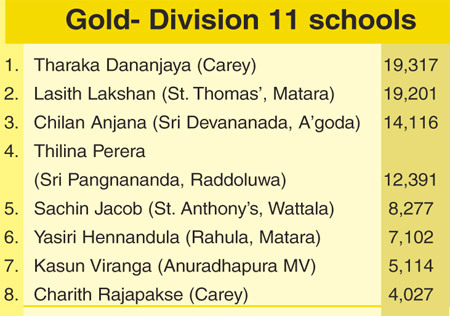 Likewise in the ‘Gold’ competition for schools taking part in the SLSCA division 11 tournament Tharaka Dananjaya of Carey College took over the lead from St. Thomas’, Matara’s Lasith Lakshan with a majority of only 116 votes. 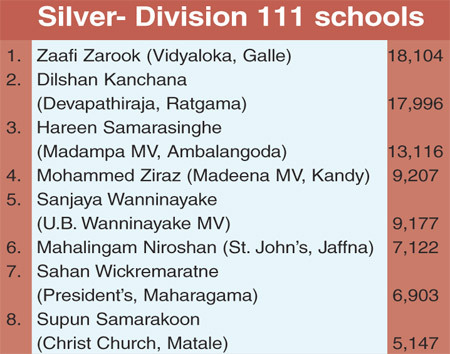 In the division 111 ‘Silver’ segment too, there is a close contest between Zaafi Zarook of Vidyaloka, Galle and Dilshan Kanchana of Devapathiraja, Ratgama. Zarook took the first place from Kanchana this week with a lead of 108 votes.